Months after the first Amish families in Manitoba started arriving in the town of Vita, the sight of their horse-drawn buggies rolling down the highway still draws crowds to the windows. "People are always quite excited to see them," said Eva Dyck, who owns Eva's Restaurant along the town's main highway. "I think it has brought people out from the surrounding areas to see if they can catch a glimpse of the buggies driving by." Last year, signs warning drivers about the black buggies started appearing along the roads, and local officials installed hitching posts in town for the Amish to tie up their horses. In April, a group of 11 families began arriving by charter bus from southern Ontario, which until recently had been the main home for Canada's Amish population. The Amish community in Vita, Man., a town of 500 people 120 km southeast of Winnipeg, is the first in Canada to settle west of Ontario, according to a professor who studies the issue and the new Amish transplants. The Amish moved west in search of new farmland. In the same vein, other Amish communities have moved east in recent years into other parts of Canada, including P.E.I. and New Brunswick. Much like Old Order Mennonites, the Amish live simply, eschewing modern conveniences that tie them to the wider world, and mostly relying on their own power and that of their animals for work and transportation. "We are overwhelmed almost in seeing that people in the 21st century here are making a livelihood the way our forefathers did in the 19th century. That is quite an eye opener," said Edward Penner, a councillor for the rural municipality who helped the Amish settle in the area. The desire to become farmers, coupled with the high price of farm land in southern Ontario, motivated the move to Manitoba, said Edward Miller, one of the recently arrived Amish men. 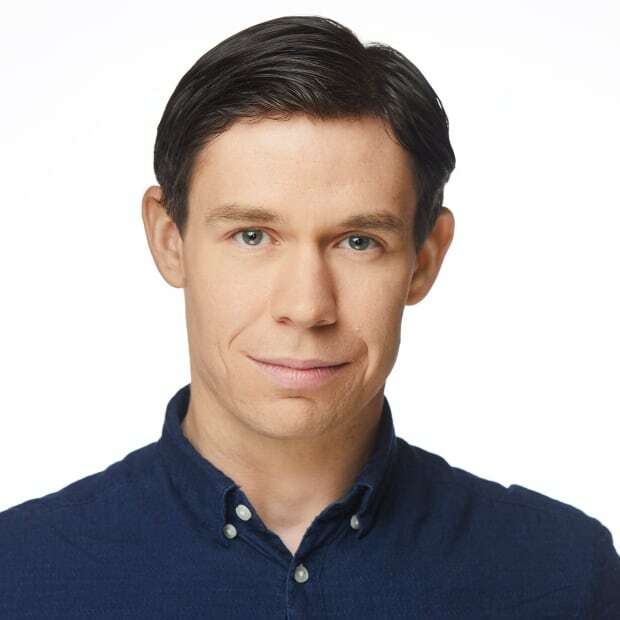 The 30-year-old smiles and waves when a CBC reporter pulls into his driveway. He and his family have just returned from his brother-in-law's house in their black buggy with an orange, reflective triangle on the back to warn other drivers there's a slow-moving vehicle ahead. As Miller unhitches his horse from the carriage, his wife and his six children go inside their two-storey home, which Miller and other community members built themselves. A herd of young cows stands in a fenced-in pasture, beside a tall, narrow building that serves as a henhouse and a place to store their water tank. Miller wears dark blue coveralls and a straw hat over his curly red hair. A thin beard covers his face except for his upper lip, in the traditional Amish style. Amish people don't allow photos or recordings of themselves, because their faith considers pictures to be sources of pride, which is antithetical to their values of humility and simplicity. But Miller is happy to talk about what brought his family to Manitoba. Back in his parent's community near London, Ont., most of the families made a living making various products to sell, but Miller wanted a different life. "We kind of thought it was good for the young people to work on a farm, because in a shop, the father isn't at home as much with the children," he said. "If the children want to be out there [in the fields] with Dad, that seems to work good." The land Miller and the other Amish purchased has never been farmed, so they have spent the past summer weeding, clearing brush and pulling out boulders, all without the aid of machines. Miller's parents wanted his family to stay in Ontario, but he says land prices made purchasing a farm impossible. "They weren't really too happy. We didn't really want to [move away], but there was no way we could farm back there. Any farm would cost you a million dollars." The families live on properties scattered over about 10 square kilometres. They started looking for property in the area about two years ago, when Penner said a group of Amish showed up on his doorstep. Penner sold some of his own property to the Amish, and housed some of them while they explored other options. 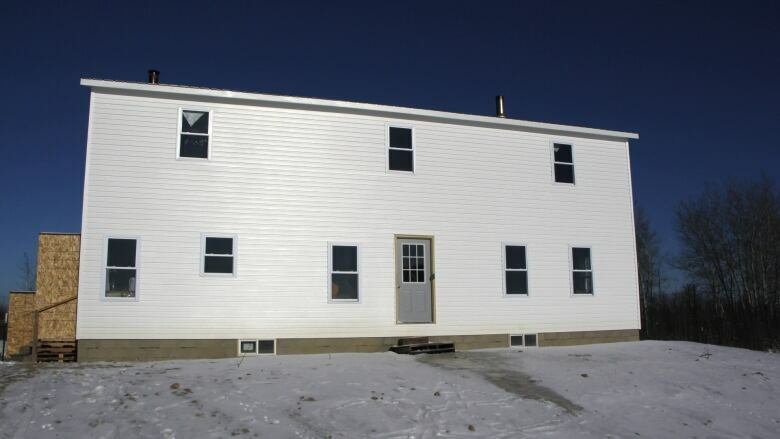 They have continued purchasing properties that come up for sale, in preparation for at least three more families expected to arrive in the spring of next year. Before then, the families already here will have to survive their first winter on the Prairies. By placing their water tank in the loft above their chickens, Miller hopes their body heat combined with the force of gravity will keep their water from freezing. "I don't know what's going to happen when it goes down to minus 40," he said. Without cars or telephones, the Amish rely on others to help them travel long distances or to make phone calls in an emergency. In late October, Miller's brother-in-law Tobias suffered a brain bleed and needed to be rushed to hospital. His wife ran to a neighbour's house to call an ambulance, and he was taken to hospital in Steinbach and later Health Sciences Centre in Winnipeg for emergency surgery. Tobias temporarily lost some of his cognitive functions and had difficulty recognizing family members and everyday objects, but slowly he's bouncing back. "That was pretty scary, but he's coming along good," Miller said. When it comes to modern medicine, the Amish will use it when necessary to save someone's life. "Who's going to define the line that it's not in the religion to help someone?" said Chris Hershberger, Tobias's brother. Instead of covering medical expenses through the public health system, however, the Amish choose to pay for their care out of pocket. Other members of the Manitoba community, as well as people in communities in Ontario and the United States, pooled money together to pay Tobias's hospital bill. Hershberger and his family live on a farm about half a kilometre away from Miller. Whereas Miller's home is two storeys, Hershberger's is a low single-story structure made from concrete blocks, with soil piled up around three sides for insulation. A gas-powered generator sits just inside Hershberger's front door. Although the Amish choose not to take power from the grid, they will generate their own if needed. The family has a fridge and freezer to preserve food when they are away from home -- and to keep ice cream from melting, Hershberger says. "My way of thinking is keeping it in the centre is the right path. One extreme is as bad as the other," he said. According to the most recent census data from 2011, there are more than 3,300 Amish people in Canada. They began arriving in what was then Upper Canada in the 1820s. They didn't migrate beyond that until the last couple of years, when some groups established settlements in New Brunswick and Prince Edward Island. The Amish are a denomination of Anabaptist Christians that broke away from the larger Mennonite church in 1693, and are largely indistinguishable from Old Order Mennonites in terms of their religious beliefs, said Royden Loewen, chair of Mennonite studies at the University of Winnipeg. "The Amish tend to wear beards without moustaches and the Old Order Mennonites tend not to wear beards. The Amish meet in homes and barns for their church services whereas the Old Order horse-and-buggy Mennonites will have a church, simple church, meeting houses," he said. Although Old Order Mennonites are more common in Canada — there are about 9,000 in this country — Amish are more well known. When a group of Old Order Mennonites settled around Gladstone, Man., in 2006, many media reports mislabelled them as Amish. 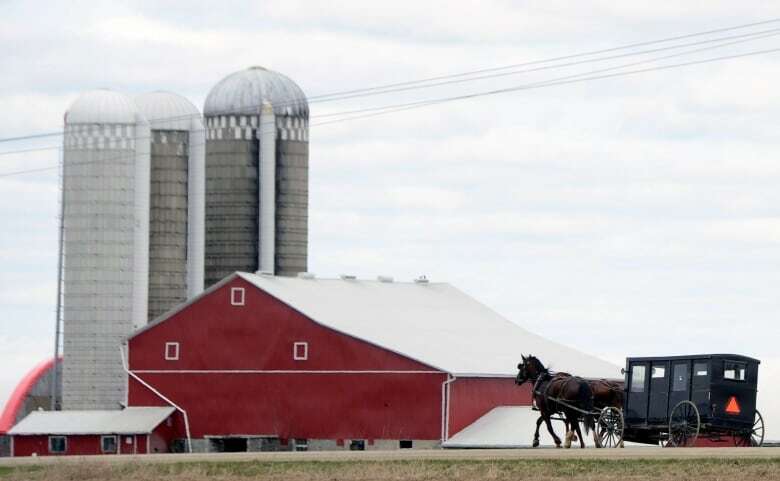 This is because "the Amish outnumber the horse-and-buggy Mennonites in the United States very significantly, whereas in Canada, it's the other way around," Loewen said. Inside Eva's restaurant in Vita, three women sit chatting about the new neighbours. "I'm not sure how everyone feels about them. I have no qualms with them. I like the sound of the clippy-clops coming down the street," said Anne Brasseur. Alice Rondeau recalled a scene from earlier in the summer when one of the Amish men tied his horse up outside the laundromat in town. Rondeau was sitting outside drinking coffee, when she noticed the flies starting to bite the horse. "The horse reared up, broke his lead, he turned around and they're so smart, he got onto the highway, he looked up and down, and went home and left the fellow here," she said with a laugh. Although the horse-drawn buggies have provided a new source of entertainment for the locals, their droppings on the town's streets and highways have caused frustration for some. "We've had a couple complaints about them, about the horse droppings on the road," said Penner. "We approached the group and they are cleaning up inside the town. Out in the country they're not, but in the towns or in the streets they clean up after themselves. That has calmed the town down." The women in Eva's look forward to reaping the benefits of the hard work of the Amish when they sell their garden vegetables and baking at next summer's farmers' market. "This way we won't go to the store and buy it, we'll go and buy it fresher," said Iris Osadchuk. Despite his uncertainty about what the winter will bring, Miller says there are good people in town willing to help out. "Everybody that met us here in Vita, they were good as pie," he said.